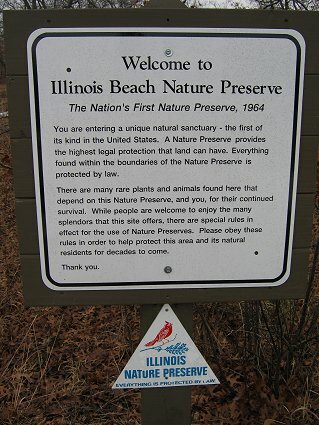 Illinois Beach State Park was established in 1948 and dedicated in 1965 as the nation’s first nature preserve. 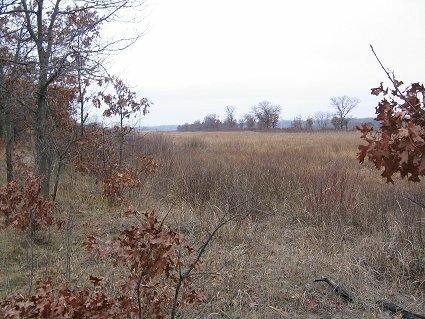 Today we visited the Southern Unit of this 4,100 acres state park near the Wisconsin border. 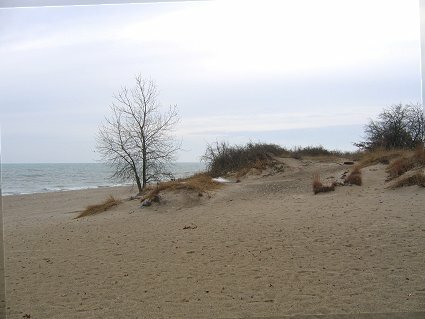 Illinois Beach State Park (see map) stretches 6 miles along scenic Lake Michigan. It was established as a means to preserve the beach’s shoreline and the unique ecosystem within this park. It is one of the most popular Illinois state parks, offering camping, hiking and swimming. The park is divided in a southern and northern unit, and we visited the southern area today. 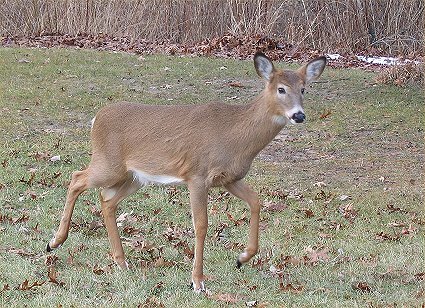 We saw three (tame) White-tailed deer on the parking lot, and then made a short walk on the beach. I had seen Lake Michigan from downtown Chicago before, but this was my first walk on a beach. Obviously there were no shells, but a lot of small rounded stones. The beach was very nice, but practically deserted on this cold January 1st morning. We did the 1.8 miles Dead River Trail which followed Dead River, which was frozen over. The river is actually quite healthy, but called dead because most of the year the river’s outlet is blocked by a sandbar. 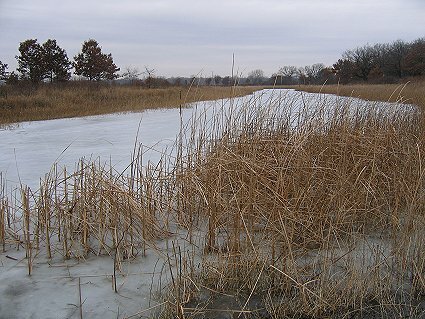 After heavy rains or snowmelt the sandbar breaks and then drains the surrounding wetlands. 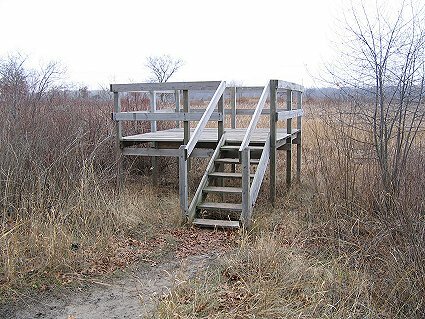 There was a Nature Center, but this was closed for the season. So was the refreshments building on the beach. There were several public restrooms throughout the park and lots of free parking. There was no entrance fee. It was a short but very nice visit, and we’ll surely come back here once in the summer. This entry was posted on Monday, January 2nd, 2006 at 2:18 am CET and is filed under Illinois, Nature, Travel	with tags . You can follow any responses to this entry through the RSS 2.0 feed. You can leave a response, or trackback from your own site. Trackbacks to this post. Thanks for the linkage.